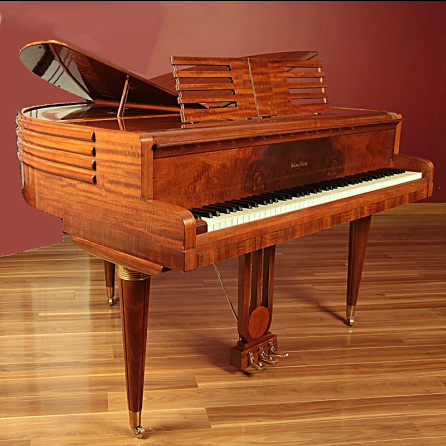 Welcome to the Wurlitzer Butterfly Piano Registry project site. ﻿This site is dedicated to the sharing and preservation of the unique Wurlitzer butterfly pianos of the 1930s. The goal of this website is to gather and share information about these wonderful little American made pianos. We invite your participation and your interest. Future plans include detailing some of the unique features of these pianos as they relate to repair and-or preservation. Lift up your wings and Enjoy! Finally! Wurlitzer Deluxe Butterfly Grand style number and related information found. At long last the Wurlitzer 88 key Deluxe has been positively identified as the Style 1411. A big thank you to the International Arcade Museum® for their efforts documenting trade catalogs relating to the music industry. http://presto.arcade-museum.com. More details to come soon!